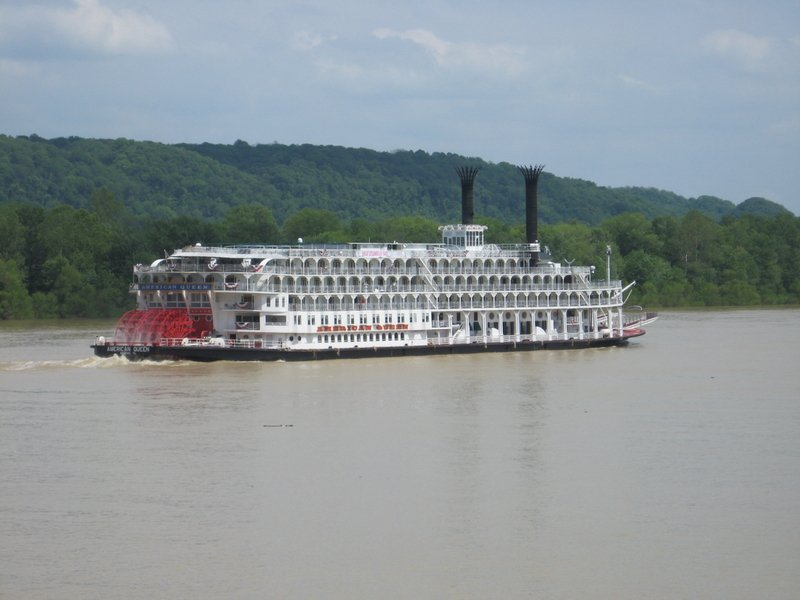 Ever since the American Queen came back to the rivers, the media has followed. Newspapers, travel magazines, and the wire services have all published feature articles with photos. Small town papers publish articles when the AQ will be stopping, or even passing by—just like notices of a passing comet. Bloggers are live blogging their trips. The company is advertising everywhere and they are teaming up with travel clubs and travel agents to offer group cruises. 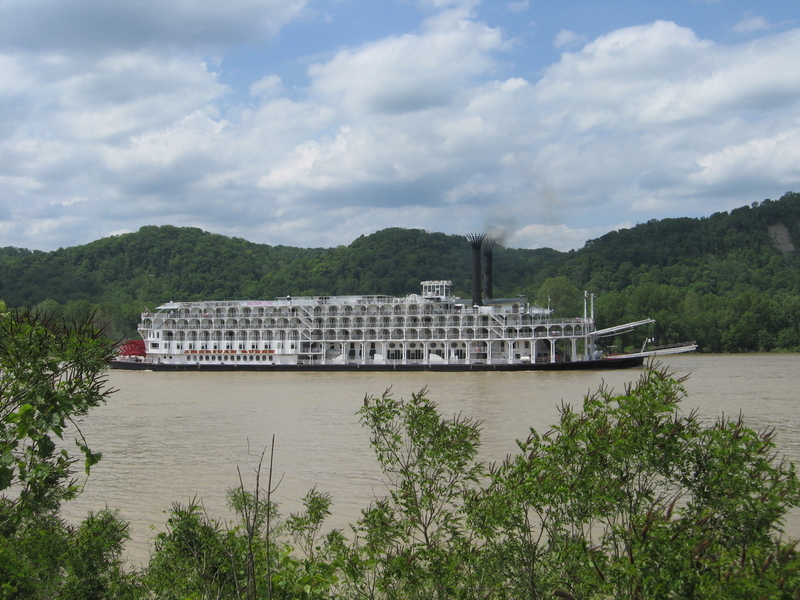 This proves that Americans love their riverboats, especially authentic paddlewheel driven boats. This offers more evidence of the need to bring back the Delta Queen, ask one more time for the exemption, and put her back into service on the Mississippi River system. Following are a few recent articles, live blogs, and travel offers. 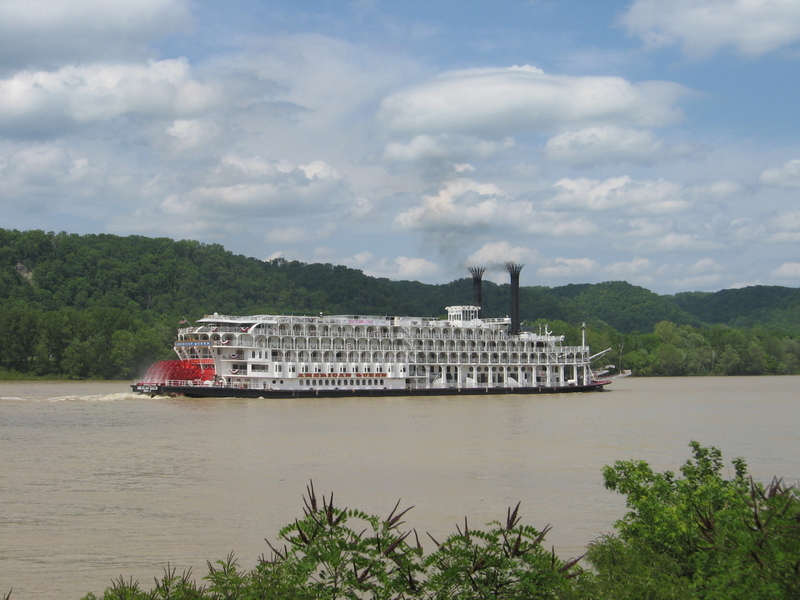 The American Queen is back and the first cruise is set for April 2012!Click here to see the new company website - Great American Steamboat Company. *Glossy postcard copyright Delta Queen Steamboat Company, circa 1995. Sent in by Craig Stichtenoth. A friend of mine wanted to know where the AQ was located now & I had told him Beaumont, Texas. He said he searched aerial photographs & couldn't find her so I started checking & did find both the AQ & the River Barge complete with Miss Nari. Attached find the AQ with bow pointing SSW in the photo & stern NNE. 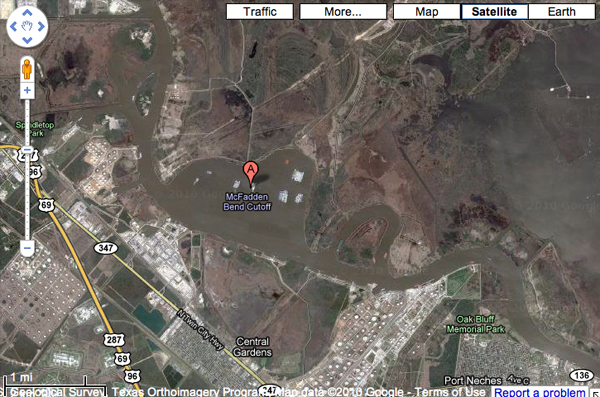 The MARAD fleeting area is in the McFadden Bend Cutoff SE of Beaumont. 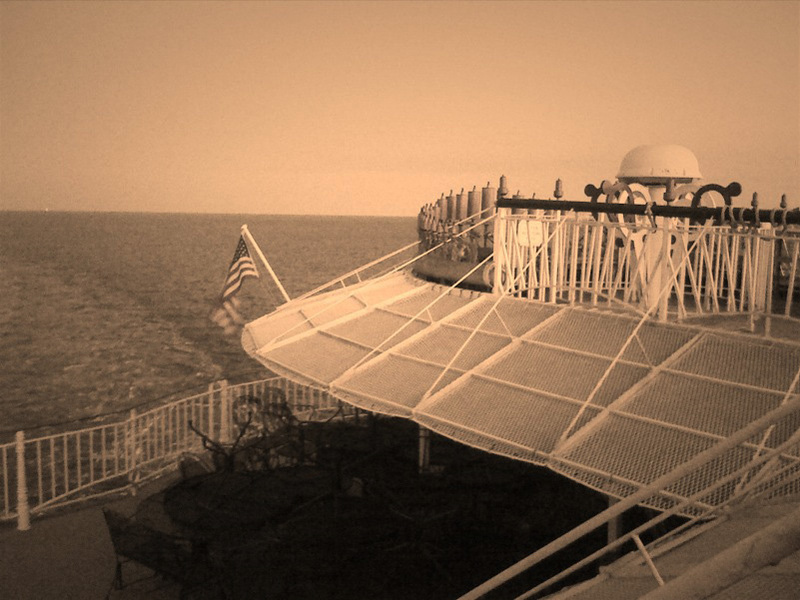 In January 2009, I took a short-term job on the American Queen as a "fireman." Ordinarily the fireman is responsible for operating and monitoring the boiler, but in this case the steam plant was shutdown and drained. All we did was sit in the boiler room and make sure the diesel generators in the room next door didn't spontaneously burst into flames. As you probably know the ship is mostly propelled by diesel-electric Z drives hidden underwater. 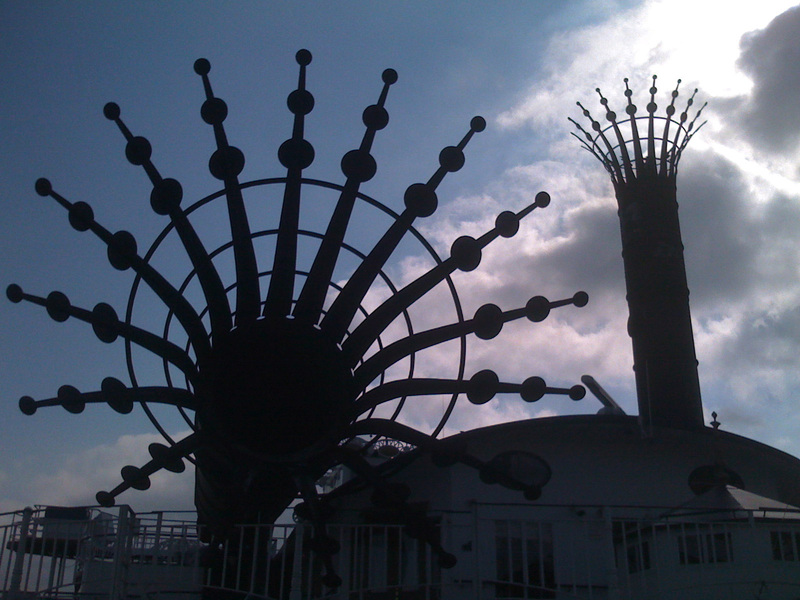 The steam powered paddlewheel provides about 1000hp or a third of the total propulsion. 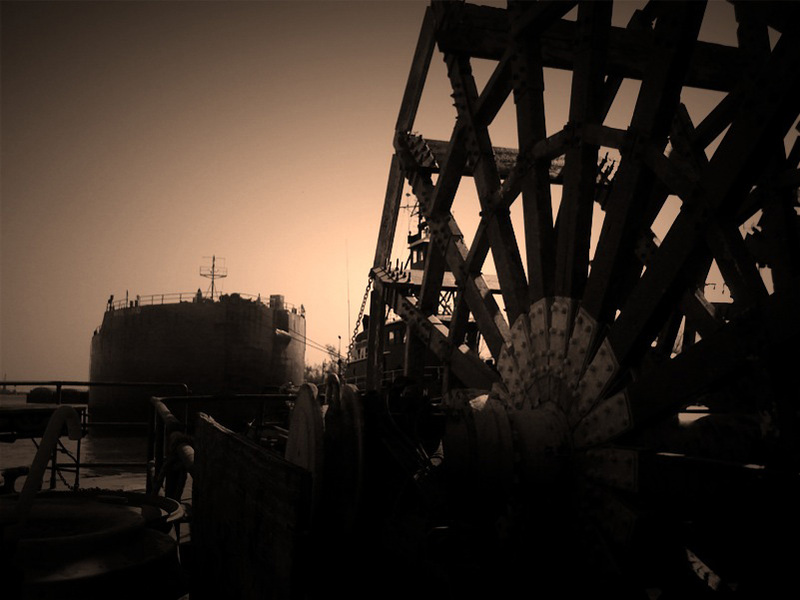 While underway, much of the steam is provided by the heat of the diesel generators' exhaust via "waste heat economizers." 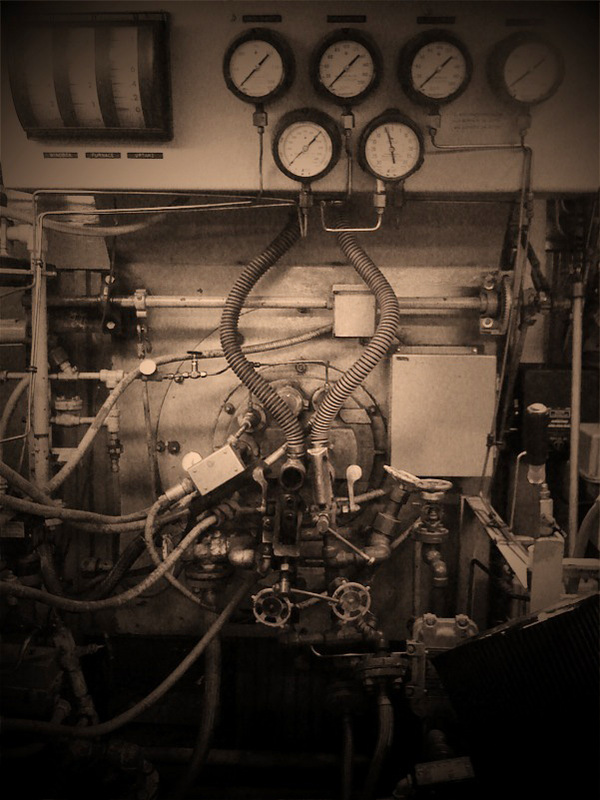 One of the photos shows the burner front on the boiler; note the burner assembly is removed. 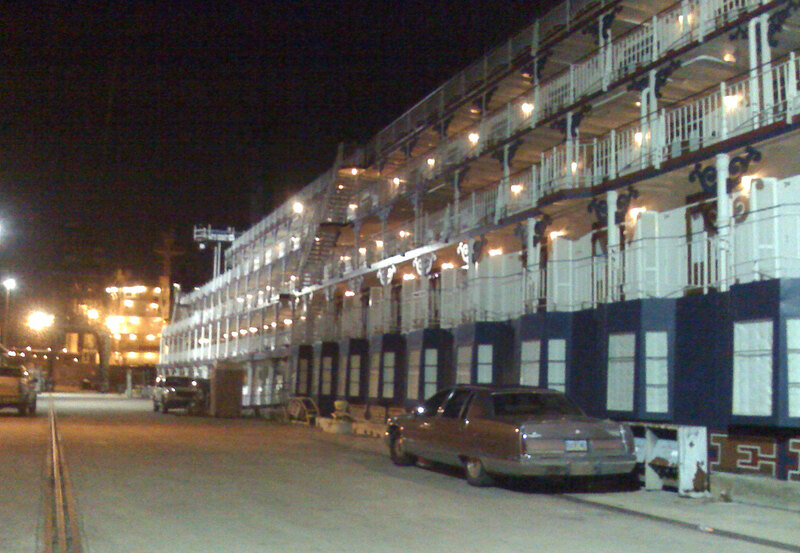 The boat was sitting at a layup dock in Algiers. 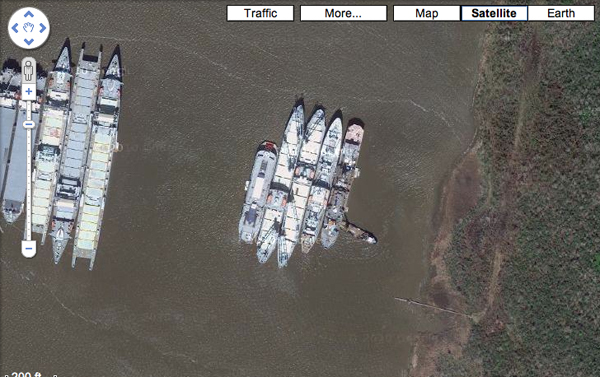 There are a couple pictures of it at this dock, with other laid up ships in the background. It took the deck crew about three days to get the boat ready for the trip to Beaumont. As it's a little too large to take the Intercoastal Waterway, we had to make the trip across the open water of the Gulf of Mexico. 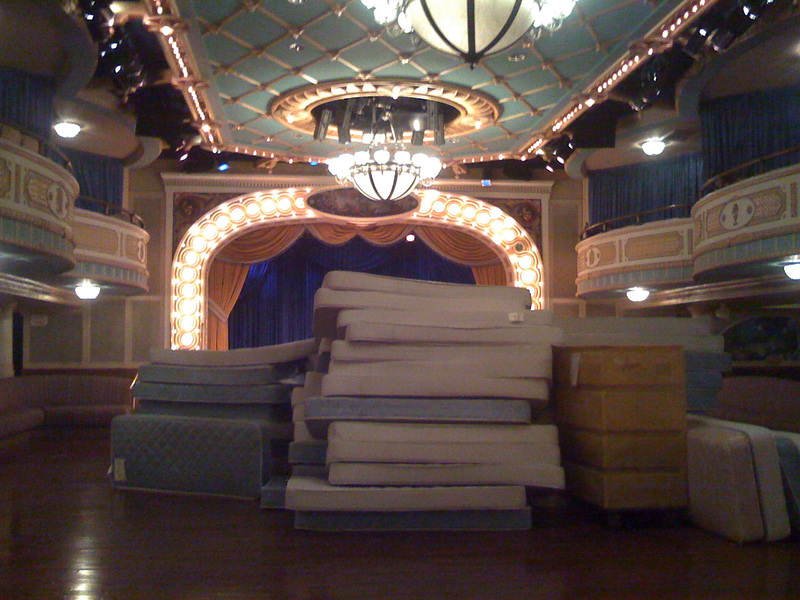 Things had to be stowed safely and all kind of odds and ends wrapped up. One afternoon, we departed the dock and made our way down the River. 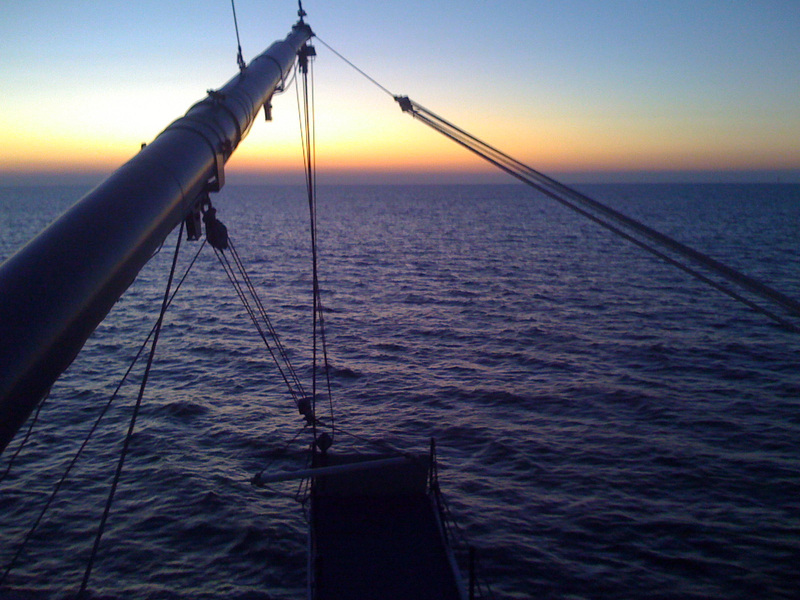 The sun was setting as we were approaching the Mouths and I got a beautiful shot from the foredeck. 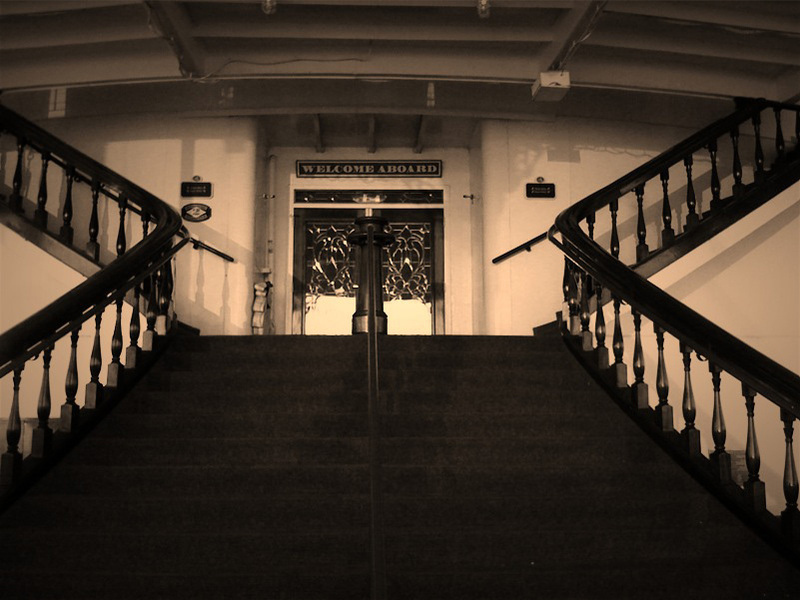 At the last minute, the Chief Engineer from the Delta Queen came aboard to fill the 2nd Engineer billet. 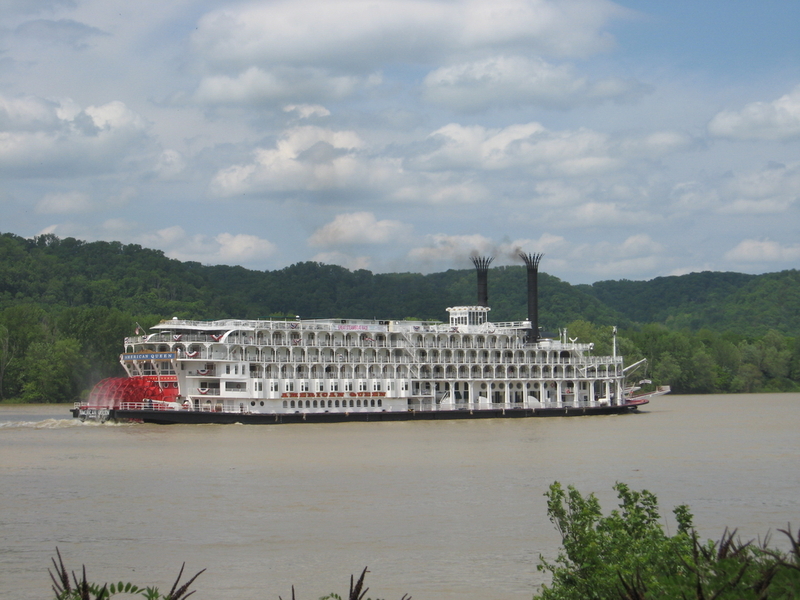 A few days after we left the American Queen he went with the Delta Queen while she [was towed, or rather, steamed under her own power] up to Chattanooga via the Tombigbee Waterway through Alabama and Mississippi to the Tennessee River. 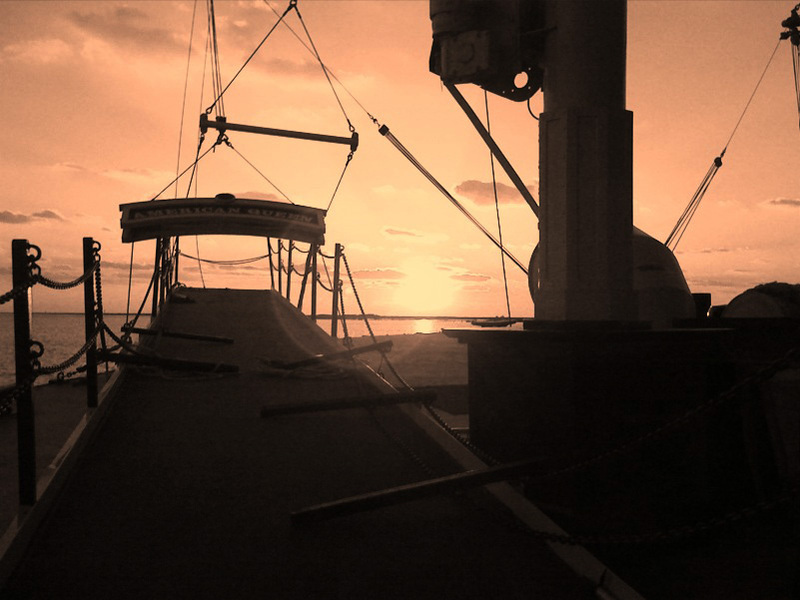 Once out on the Gulf, the Captain and pilothouse gang were very nervous. Without a keel it was difficult to steer a straight course, occasionally you could feel the boat skittering sideways with a strong gust of wind. The next afternoon I took a few pictures from the upper decks. The boat was making way at an angle, with the bow clearly pointing a different direction than we were actually traveling. Fortunately there was good weather on the Gulf or I imagine we would not have gone out. 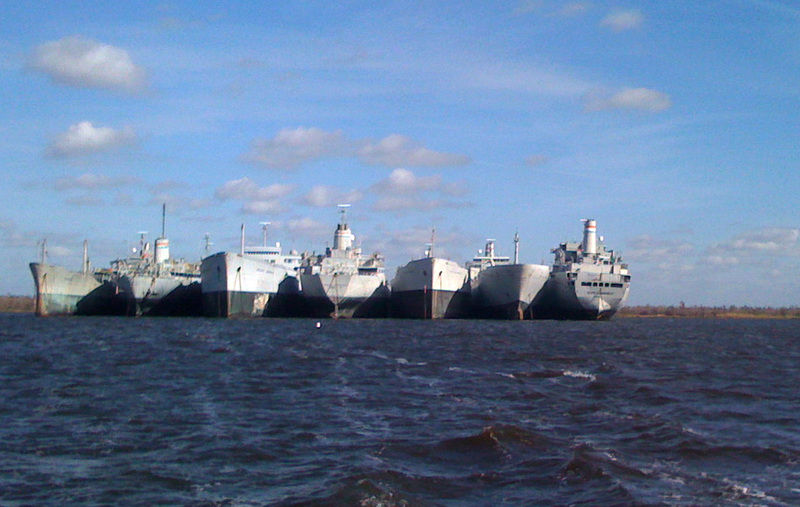 That evening we made it to the Sabine River and arrived at the lake with the rest of the Navy's Ghost Fleet. 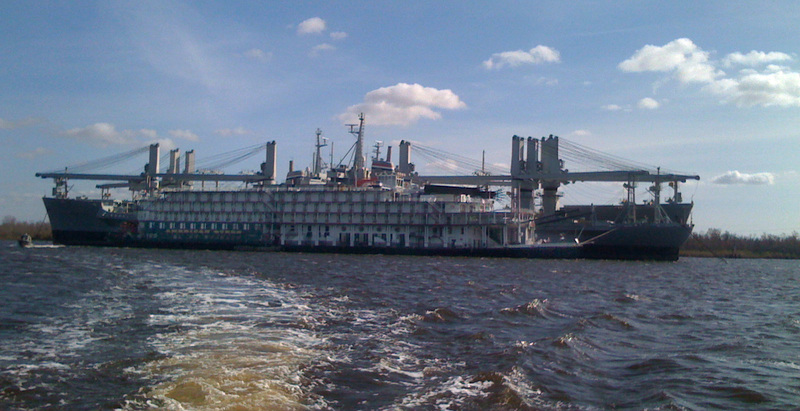 The oldest ship I spotted was the SS Hattiesburg Victory (built 1945), one of the last Victory Ships afloat. Since then it was been sold for scrap. 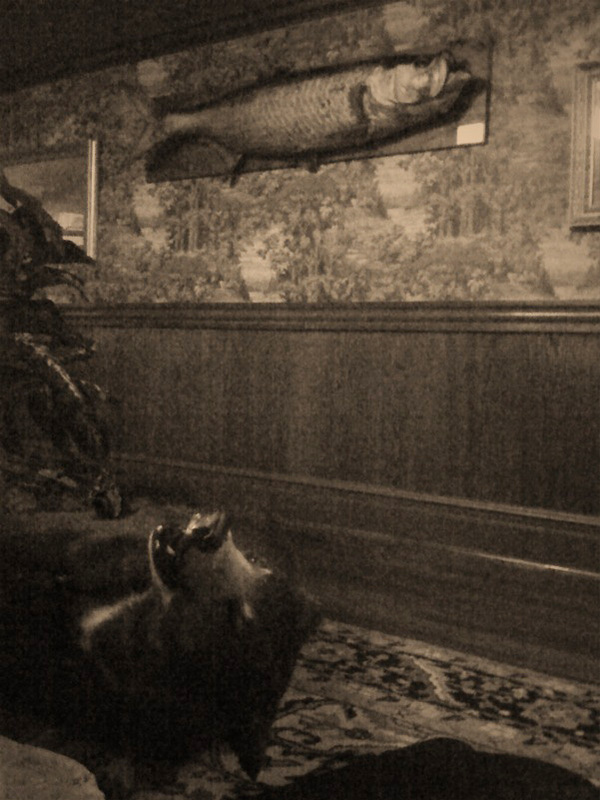 In the picture, I believe it is the second from the left, not certain. That night they used the dynamic positioning system to hover in place with the Z drives. In the morning the Ghost Fleet workers came out to tie us up to one of the other ships, where it remains today. We shut down the diesels and were taken ashore in a crewboat. There's one final picture of the American Queen disappearing into our wake. The word was that the boat would be sold at auction to the highest bidder. I have no idea if this has happened yet, or if so who bought it. 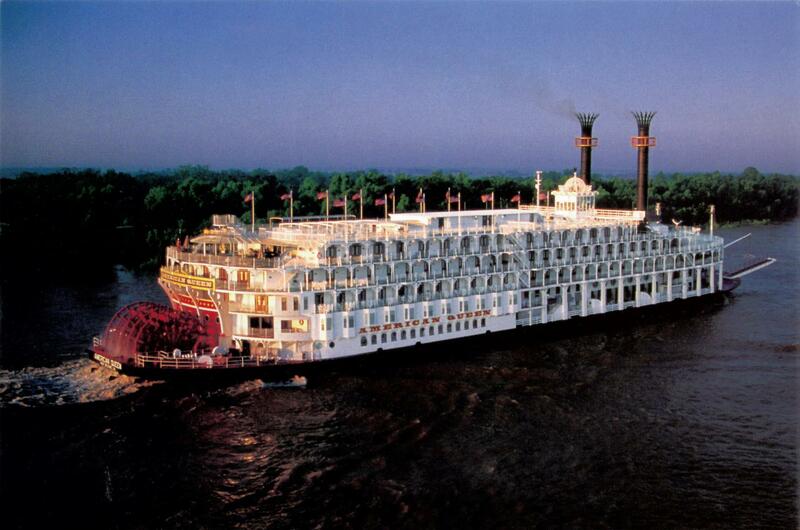 Her sister, the Mississippi Queen*, has since been scrapped at a yard near New Orleans, but I believe the American Queen will live to sail again.